Gaza’s health ministry claims Israeli troops shot dead a teenager in clashes near border fence. Gaza’s health ministry claimed on Friday that Israeli troops shot dead a teenager and wounded seven others during clashes near the border fence in Gaza. Abdulrahman Abu Hmeisa, 16, was killed in the clashes east of Al-Bureij in central Gaza, ministry spokesman Ashraf al-Qudra said, according to AFP. He said seven others were also wounded by Israeli gunfire by the border fence. 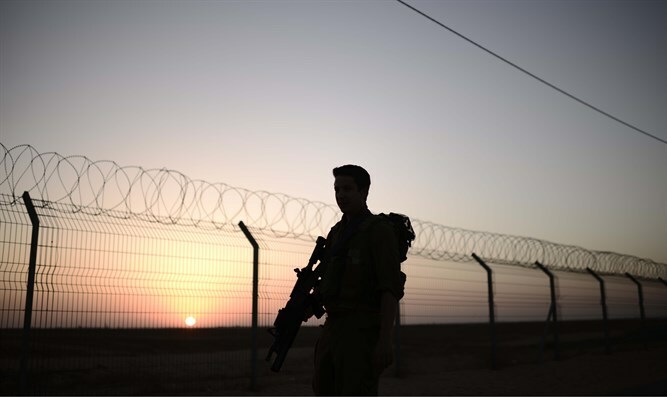 An IDF spokeswoman told AFP that soldiers opened fire at demonstrators trying to damage the security fence that separates Israel from Gaza , without being able to confirm the casualties. Warning shot were initially fired as protesters set fire to tires and hurled rocks, she said. The clashes erupted after hundreds of youths reached the border area in response to a call by Hamas for protests to take place in solidarity with Palestinian Arabs in Jerusalem. Even before the recent tensions in Jerusalem, however, Gazans have constantly been provoking IDF soldiers stationed near the border fence. These provocations normally take place on Fridays, when Arabs riot near the border fence and attack security forces with rocks.